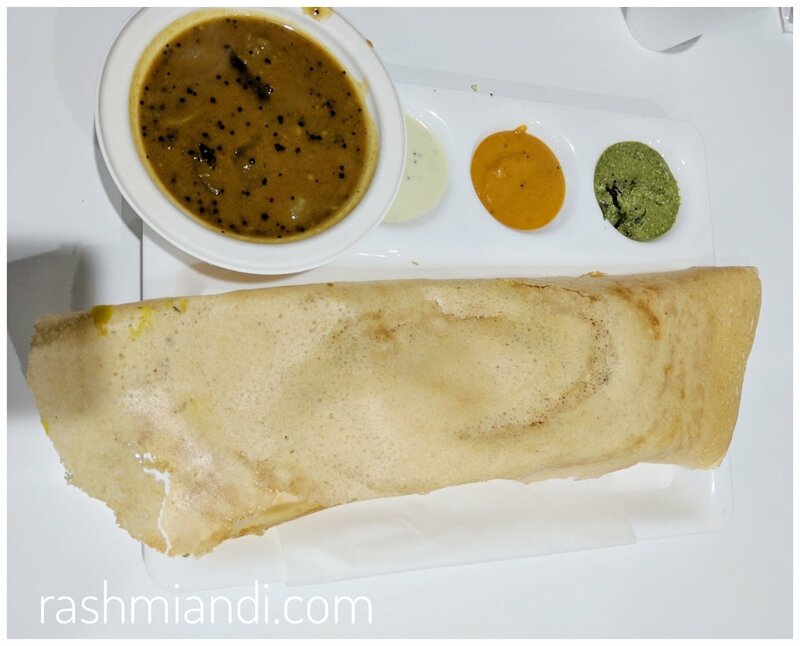 Long awaited Dosa House has opened in Bellevue. My husband and I were waiting for this to open from quite a long time cause one it’s all vegetarian and two it has a name Dosa House which meant there would be varieties of Dosas. So Friday (last week) was their first day, so we just happened to call them up to see if they were open and to our luck, they were. The menu was quite interesting, and just not what we expected, Though it has the name Dosa house, there we’re paranthas, fried rice, thalis, starters and even burgers. Well that wasn’t what we expected but then I was so very interested in the Dosas they had to offer, so we went ahead and ordered Onion Chilli Masala Dosa. Since it was a mad rush our order did take a lot of time, around 20 minutes. Dosa was served with good amount of chutney and Sambhar but the star of the day that’s Dosa did not meet my expectations. The dark and light golden brown spots on Dosa is what makes it so appetizing and apparently that was missing, then I had my first bite and well, all of my Dosa dream cane shattering down. I had ordered an Onion and chilli Masala dosa, all I could find in my dish was some chopped onions and a whole red chilli which was charred. Absolutely no flavour, and it was like as if it wasn’t a part of the dish itself. Even though, the chutney and Sambhar was ok, however dosa was a big let down. I don’t think I would be ordering Dosa again. Well along with this we also ordered a paneer Tikka burger, Gobi Manchurian and some Chilli garlic fried rice. It looked beautifully crisp and a little saucy. It had just the spice, and tangy flavour coming from it. With the rice each bite was scrumptious.After a very long time we had tasted something like that around here. Ohoo this was so spicy, garlicky and yummy. The rice was moist and spicy. 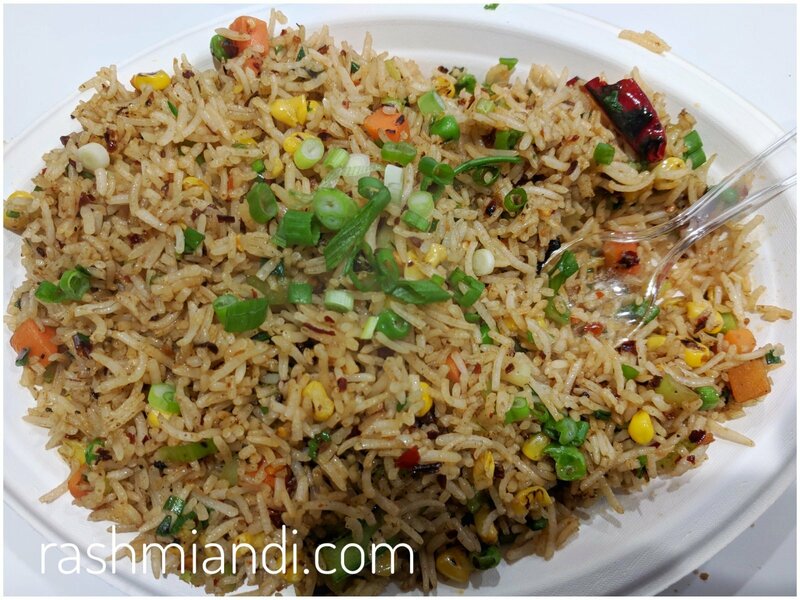 The red Chilli flakes brought in right amount of heat to the dish. A dish I think I would order again and probably would be going again to just eat this. 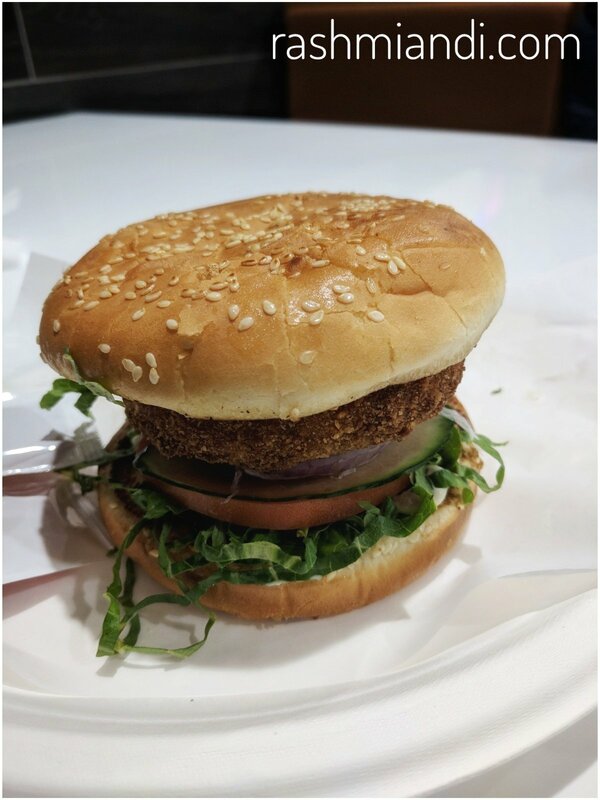 A simple and a straight dish.The star of this burger was the Paneer Patty. The Patty was delicious and just melts in your mouth. 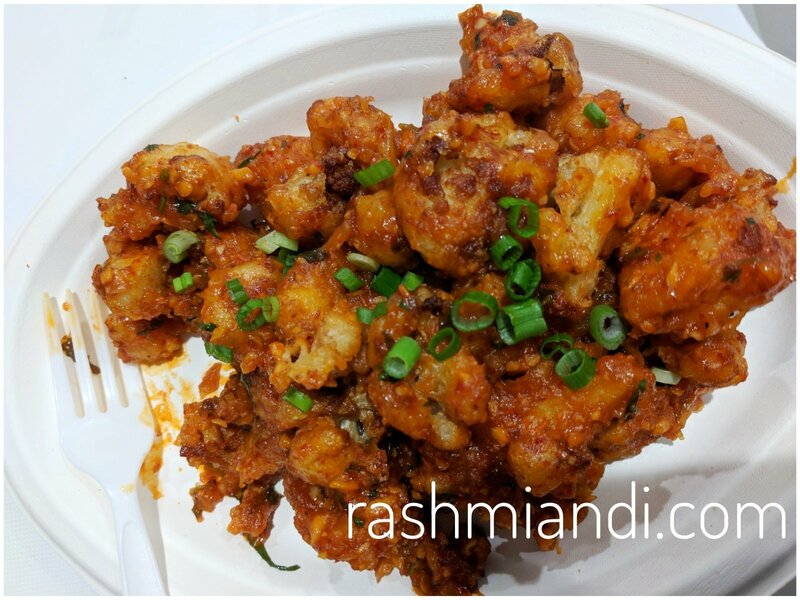 The best dish in whole of the menu and I must say my current favorite too. My favourites in Dosa House: Rice, starters and Burger. Dosa’s in Dosa House was a let down, they just don’t meet your expectations. However some dishes in the Menu were extremely good and YES I will be visiting Dosa House again but just not for Dosas. Touche ! … we visited Dosa house on Sunday and had similar experience. Dosa was a bust…but chinese food was awesome.